Visiting The Rye Arts Center to view classes or attend performances has provided me with the opportunity to witness children engaged in the arts in a joyful and supportive setting. 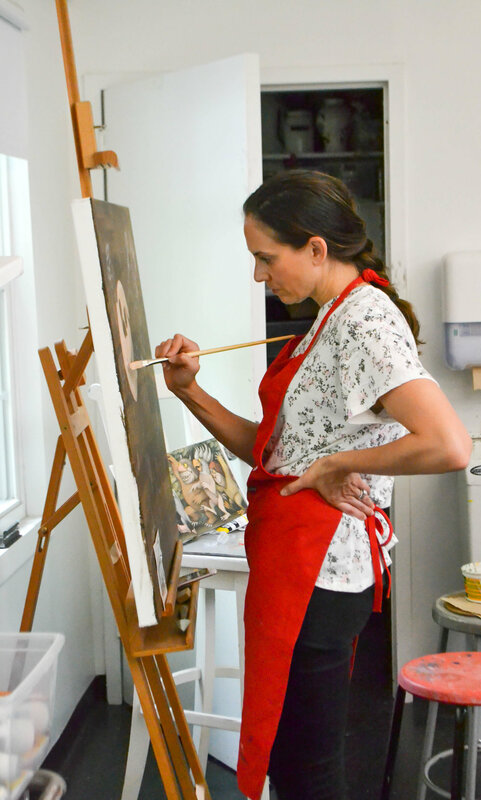 The Rye Arts Center provides students with highly qualified teachers who encourage them to be brave and curious and to actively participate in the creative process, not merely witness it. In music, art, and dance, the center has a well-conceived arts curriculum that teaches skills, provides tools that help children discover and release creative talent and supports freedom for fanciful thoughts. The lessons that my daughter had with Teresa over the last two years have been wonderful. Her voice has developed beautifully, but more importantly, so has her confidence. The Rye Art Center has been a part of her life since she was a little girl living overseas - and going to camp during her Rye summer visits. It has always been a place where she has felt welcomed and free to develop as a performer. Here’s a shout out to The Rye Arts Center for the best five-year-old birthday party my son, Ian, could image. He fractured his wrist a couple weeks ago, but even prior to the injury, he was excited to have a polymer clay party at The Rye Arts Center rather than Fenom, Kids U, etc. He loves art and loves his half day for half pints with the Rye Arts team. Terry Taylor, who leads the polymer clay parties, how only met Ian in a couple holiday workshops. The party is supposed to be for ages six and up, and maximum 12 kids. We had 15 four and five-year-olds dressed in superhero costumes and it was amazing. Terry led the children through the activities with patience and encouragement. They were so proud of their abilities and had fun exploring and playing with the clay. We couldn’t believe that she could keep them focused, smiling and creating for over an hour! An extra highlight was the Comic Book exhibit in the gallery – it was the opening reception, so the lobby was filled with Superhero memorabilia and staff dressed as superheroes. We became members this year to take advantage of the programs offered after school. Our daughters attend Resurrection School and we are so lucky that the RAC is located within walking distance - so convenient! Our 4th grader is in Nicole’s “Engineering & Design Challenge” class. She participated in the first session (starting in Sept) and absolutely LOVED it and it was a guarantee that she’d re-register for the current session. Nicole is fabulous with the children and nurtures their thirst for exploration. This class introduced technology and learning aids we otherwise might not have known about...Little Bits and Snap Circuits are just a couple of tools that our daughter asked for as holiday gifts because she used them at RAC and wanted the chance to continue to tinker with them at home. Further, those toys are guaranteed to come out during play dates, which makes all of parents happy to know that TVs and screens are NOT in use and the children are engaging their brains. Today my Mom, Gina Burton attended her first Dance for PD class at your center. She loved it and was so happy when we spoke about the class. She said it was a bright shining moment to what has been a dark time. She also physically felt great after the class. — Review of the RAC's "Dance for Parkinson's Class"